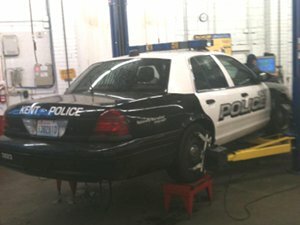 Warren Secord Automotive & Tire has been keeping Kent WA cars and trucks running reliably for over 45 years. We repair what’s broken, keep an eye on what could give you trouble, and provide our customers with a maintenance plan to maximize vehicle life according to their needs and expectations. For auto repair near Kent WA you won't find a more trusted Kent WA auto repair shop than Warren Secord Automotive. People come to Warren Secord Automotive & Tire knowing that they are going to get their vehicles repaired at a fair price as quickly as possible. We stand behind our work with a 2-year/ 24,000 mile warranty on parts and labor which gives you confidence in the safety and reliability of your vehicle. The right tools combined with skilled auto repair technicians gives you the best auto repair in Kent WA. Warren Secord Automotive & Tire has the technology and skills to get your auto repairs done correctly and fast. "We have known Bill for many years and have come to trust his decisions. He takes good care of all of our tire end vehicle service needs. Cars, truck, van, boat trailer, and RV have all been trusted to Bill and his staff. Never too busy to get us in or inspect our tires. And always a welcome smile." Warren Secord Automotive & Tire offers Dealership know how without the dealership price. Our AAA approved, factory trained, ASE certified auto repair technicians use state of the art auto repair technology to make your vehicle safe and reliable. Same day service + Quality parts + Quality Workmanship = Outstanding value all backed by the a nation wide 2 year/ 24,000 mile warranty. Certified Auto Repair Technicians save you money. Warren Secord Automotive & Tire hires and trains only the best people. Our ASE Certified Auto Repair Technicians undergo constant training and re-certification to ensure you get great value. Highly skilled people perform accurate, fast problem solving and will lower your auto repair costs. We perform all major and minor, domestic or import auto repairs in Kent WA area. No need to waste your time shopping around. Warren Secord Automotive & Tire provides honest, fast, and accurate repairs to all vehicle makes and types at a price that matches your budget. If it has wheels we can fix it! Warren Secord Automotive & Tire works on cars, light trucks, SUVs, 4x4, and RVs. We have the special tools and equipment to repair all types of automotive vehicles. Always have a great experience! They are friendly, very helpful and efficient! The experience was as always, done right the first time and on time. I did have an anti brake light come on the following day which is one of the three issues I had. Because it was a one time light I did not bother you. I will just keep an eye on it. Should not be a problem. Thanks for all you do. Auto repair and maintenance run in my family so its easy to spot the good from the bad and the guys at Warren Secord are the most honest and reliable guys in the industry! It feels goods to know you can trust what the mechanic says. Thank you Warren Secord!